STILL, the emotional final installment of Kennedy Ryan’s GRIP series, is LIVE! Dive into the series The Huffington Post calls “fresh and exploratory” with FLOW, the FREE prequel! You can count on me.The promises people make. Jonathan Brooks knows what it’s like to find the kind of love most people only dream of. He also knows what it’s like to lose it in the worst possible way. After burying his wife and the mother of his daughter, Jonathan lost all faith in love. He struggles to cope with his grief, being a single parent to Josie, as well as taking care of his younger sister Tessa, and he’s convinced he will never be able to love anyone again. Deaf since the age of four, Shannon O’Tool has always been a fighter and never allowed her disability to define her. 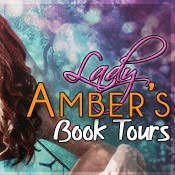 She’s a strong woman, and when the attractive Officer Brooks makes her an offer that promises nights of pleasure, but excludes any and every kind of emotional entanglement, the redhead beauty is convinced she can handle it. When the unexpected happens, life-changing decisions must be made. Determined not to open his heart to anyone, Jonathan does everything he can to keep himself as distant from Shannon as possible. But when their agreement to keep things strictly physical turns into something neither of them expected, Jonathan is once again forced to deal with the fact that life doesn’t always turn out the way you want it to. How do you find love when you’ve already lost hope? Eek! 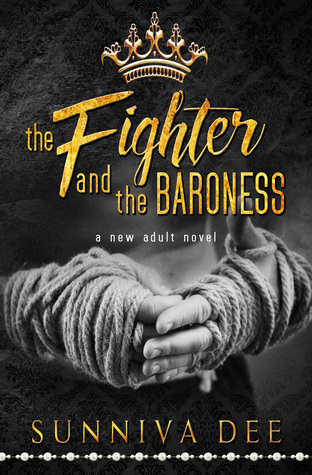 The Fighter and the Baroness by Sunniva Dee! Guys, this book is SO Amazing! Born in the Land of the Midnight Sun, the author spent her early twenties making the world her playground. Southern Europe: Spain, Italy, Greece–Argentina: Buenos Aires, in particular. The United States finally kept her interest, and after half a decade in Los Angeles, she now lounges in the beautiful city of Savannah. Sometimes, Sunniva writes with a paranormal twist (Shattering Halos, Stargazer, and Cat Love). At other times, it’s contemporary (Pandora Wild Child, Leon’s Way, Adrenaline Crush, Walking Heartbreak, and Dodging Trains, coming in late March 2016).